When you need new Kia auto parts in North Aurora, IL it’s important to choose parts that will keep your vehicle running at its best. Choosing genuine Kia parts is a great way to make sure your vehicle is getting the exact parts it needs. 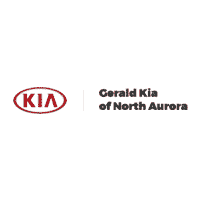 You can find just what you need at our parts center here at Gerald Kia of North Aurora. If you’re restoring, repairing or just adding some excitement to your vehicle, we would be happy to help you find the perfect parts. We have a variety of Kia parts available at our parts center, and if we don’t have exactly what you need in stock, we are prepared to order it for you. Just let us know what you need, and we will find it for you. If you’re not sure which part is best for your vehicle, just ask our parts team, and we will help you determine exactly which part your vehicle needs. You’ll find only high-quality genuine Kia parts and accessories at our parts center. We want our customers to have the best for their vehicles, so we only sell the best products. You can be sure that your vehicle is getting parts that are in great condition and are a perfect fit for your Kia when you shop with us. If you need help installing those parts, you can count on our service center to get the job done right. If you’re in the North Aurora, Aurora, Naperville, Elgin and Schaumburg areas and you’re in need of any new Kia parts or accessories, feel free to call us at (888) 716-9917. You are always welcome to visit our dealership located at 201 Hansen Blvd, North Aurora, IL and we will help you find the right parts for your vehicle.